A shocking revelation by the Directorate of Criminal Investigations (DCI) suggests that married Caroline Mwatha was in another relationship. The pregnancy she carried belonged to one Alexander Gitau. Phone records prove the same. Unfortunately, the dead cannot defend themselves. The Dandora based activist was married to Joshua Ochieng Oyucho based in Dubai. 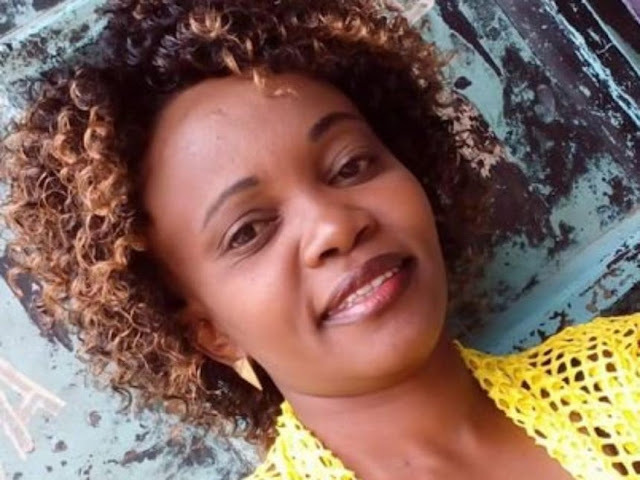 This shocking revelation means that the relationship that yielded the pregnancy was the start of the events that led to the death of Ms Ochieng. According to phone records by DCI, Alexander sent Caroline 6000 shillings to enable her procure the abortion. It is during the procedure that she lost her life at the New Njiru Community Centre clinic. Fearing for their lives, the doctor and assistant booked Ms Mwatha under a different name at the City Mortuary. They booked her body as Carol Mbeki. It was later today that her body was found after going missing since Wednesday last week. Caroline was an activist who fought against extra judicial killings in Eastlands and Dandora. This new piece of information throws a spanner into the works. All those involved are now in police custody as investigations continue.